Trinity Rose Designs: CC Designs November New Release Preview Day One!! Today is a very exciting day! 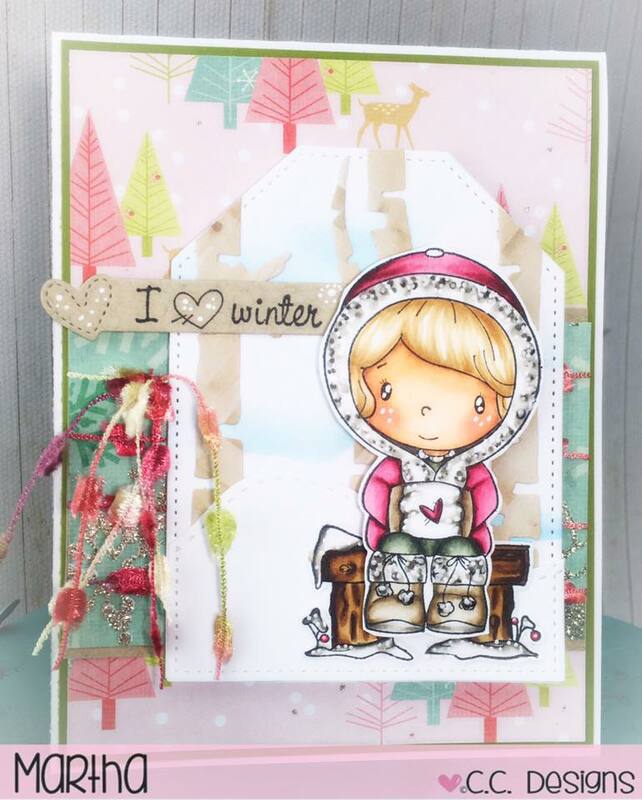 Its the first day of the Sneak Peaks for the CC Designs November New Release! 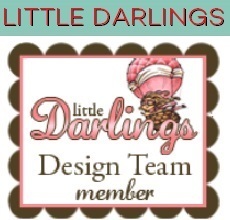 Here is my card with these old and NEW CC Designs Products!! 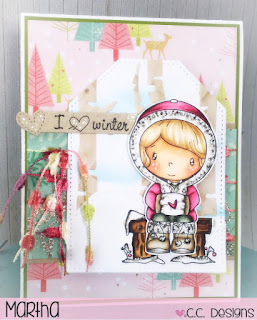 I Adore the sweet new Snow Lucy and her sweet new Winter Bench!! Pop back on Thursday for the November New Release Blog Hop!! she is so precious ! love the cheeks !